The number 10 bears an essential relevance to Jewish life: Ten Divine utterances created the universe; the Ten Commandments contain the entire Torah. Corresponding to this, say our Sages, are ten distinct terms for tefillah – for ten denotes perfection. 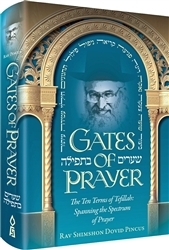 Gates of Prayer, translated from the bestselling Hebrew She’arim BeTefillah, with more than 150,000 copies in print, explores the full spectrum of tefillah by delving into the meaning and significance at the heart of each of these ten distinct concepts in prayer. To understand these ten terms is to realize that these are ten diverse capacities within each and every one of us; and to access this potential within, is to unleash all the goodness and blessing prayer has to offer. Rav Shimshon Pincus’s treasured titles are culled from the inspiring lectures and classes he delivered, but this great gift is a volume Rav Pincus painstakingly authored himself, poring over each word on every page. It represents a lifetime of learning and reflection, piety, profound faith, and purity of heart. 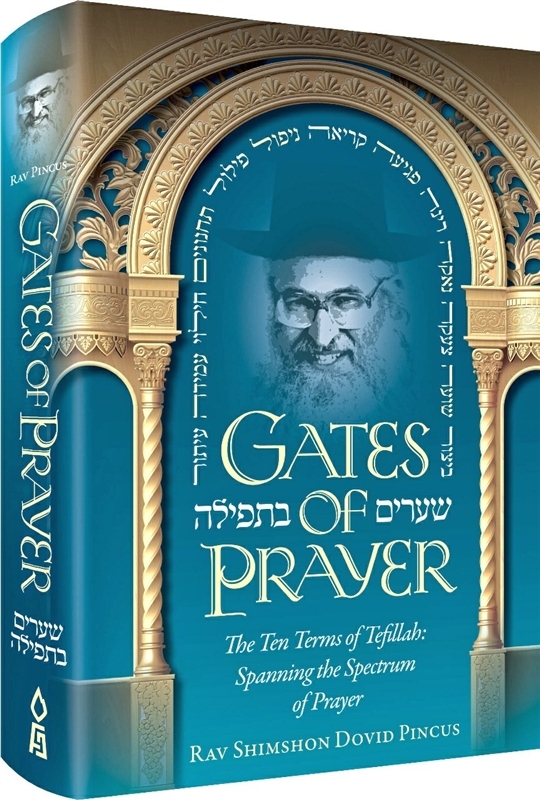 Beautifully translated, in accordance with the author’s wishes, this magnificent volume stands ready to elevate and enrich the daily tefillos of us all.